We provide a Special Visual Training (SVT) programme to all of your care staff. The training will teach them about the ways in which different eye conditions can affect vision and the quality of life of the residents. 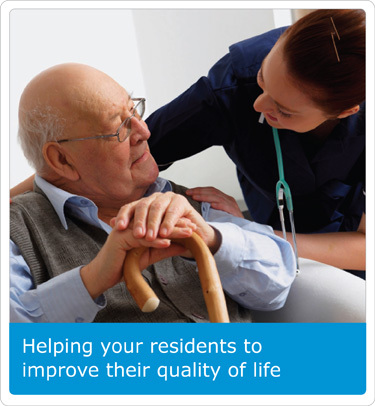 It is important that all care staff are thoroughly aware of each resident's quality of vision. This training includes what to expect when the optometrist arrives to meet the residents, all of the relevant questions to be answered and a discussion of the 'handover process'. Care staff will receive a certificate for attending these training sessions and this will help your residents to improve their quality of life with the services of a fully capable training team.